Discover the best practices for asbestos removal in Los Angeles and make sure your contractor follows them. In its natural state, asbestos is a fibrous mineral that can cause severe lung damage when inhaled. As long as asbestos remains bound into manufactured products, it cannot be inhaled. But as soon as these products begin to break down, they release microscopic asbestos fibers that can pose a real danger over time. 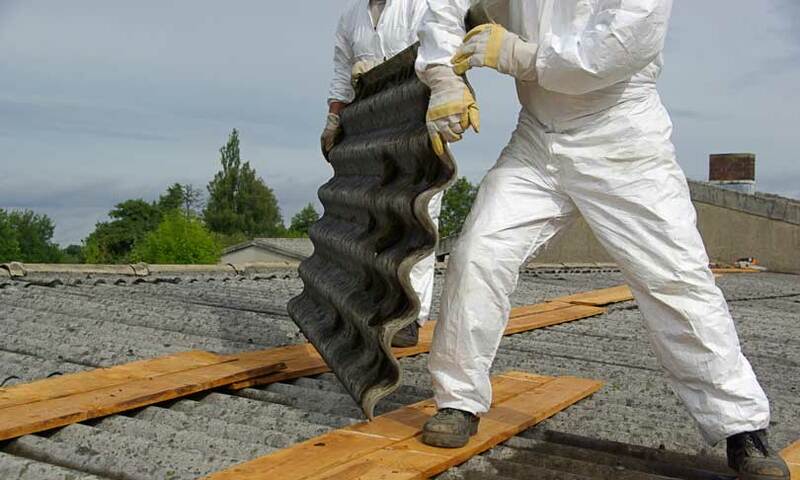 The best way to deal with damaged asbestos materials such as floor coverings, ceiling tiles, insulation, siding, roof shingles, and even fire-retardant paints is to opt for professional asbestos removal in Los Angeles. After all, asbestos is officially classified as a hazardous material, and it should be treated as such by professionals who are fully trained in best practices for asbestos removal for Los Angeles. Containment of loose asbestos fibers is priority one in any asbestos removal job. Best practices call for the entire work area to be sealed off with plastic sheeting and moisture-resistant tape. After the work area is made airtight, it must be equipped with a state-of-the-art air filtration system to ensure that while fresh air is allowed in, no asbestos fibers are allowed out. It is absolutely crucial to get the containment system right so that the rest of the building remains safe during and after the removal process. Just because the work area is sealed off doesn’t mean asbestos can be released indiscriminately. Instead, best practices call for the asbestos materials to be kept damp while working to inhibit the creation of airborne particles. Materials should be removed in small sections that can be handled easily rather than dragged around, which also helps minimize unnecessary breakage that would release more fibers. All materials containing asbestos must be treated as hazardous waste and disposed of in licensed facilities. Before exiting the work area, the materials should be bagged and sealed, and the bags decontaminated. They should then be placed in a vehicle driven by a person licensed to transport asbestos and taken directly to the disposal facility. Best practices call for ongoing asbestos cleanup. After each small section is removed, the area should be cleaned with water and then vacuumed to remove all loose fibers. Workers should take care to undergo the complete decontamination process every time they leave the work area and properly dispose of their work gear and respirators. Additionally, a special air filtration process should be completed at the end of the whole job. When all of these best practices for asbestos removal in Los Angeles are followed, you can rest assured that a dangerous asbestos situation has been completely and professionally handled. With the threat neutralized, you can once again enjoy your home or business in comfort and safety.